I wanted to share this astounding milestone that the Amazon is now doing more than $1 billion in sales through mobile devices including Kindle. I’m not surprised as I’ve been using Amazon’s iPhone app at least a few times a week to buy all kinds of stuff. Unlike in those days that you have to write down what you want before going shopping, all you need to do these days is to fire up your mobile and order what you want. Good news for Amazon and a great news for everybody in the mobile industry as this is a validation that M-commerce is here to stay for a long time. According to a report released by iResearch last week, China search engine market Q2 sales increased to 2.64 billion yuan (US$389m). 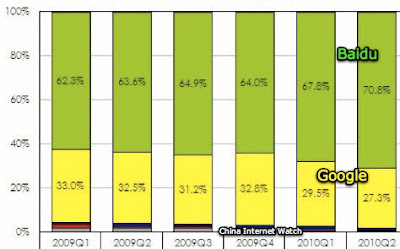 Baidu’s market share increased by 3% to 70.8%. Search queries on Baidu also increased by 2.1% to 78.2% while search queries on Google dropped by 2.3% to 14.4%. With all the problems at Google China, Baidu will continue to eat into its market share and expect a further reduction in its overall market share in Q3. Nokia has posted a sharp 40 percent decline in year-on-year second-quarter net profit amid signs that the world’s largest handset vendor is still struggling to keep pace with high-end rivals such as Apple and Google. Nokia has revealed net sales of €10 billion for the second quarter of 2010, up 1% year-on-year - although down 4% at constant currency. The company sold 111.1 million mobile devices in Q2, up 8% year-on-year, with 24 million of those being smartphones (up 42% in the same period). Nokia also posted Services net sales of €158 million in Q2, compared to €140 million in Q2 2009 - a 12.9% increase year-on-year. Despite the firm issuing profit warnings in the quarter, the figures were still below analyst expectations as analysts had predicted profit of EUR285 million. The disappointing results reflect the fact that Nokia has still to develop a device able to compete with Apple’s iPhone or devices based on Google’s Android operating system. Nokia estimates that it took a 33% share of the mobile device market in Q2 this year, down from 35% in Q2 2009. The company thinks its share of the smartphone market held at 41% over the same period. Nokia also gave figures for the average selling price of its handsets in Q2 of both years. From Q2 2009 to Q2 2010 its overall ASP fell from €64 to €61. However, for smartphones specifically, its ASP fell from €181 to €143. Some more stats: more than 17 million people have downloaded its free Ovi Maps navigation/mapping application; Ovi Store now has more than 13,000 'content items' (including apps), and its Ovi App Wizard has generated more than one million downloads in ten weeks since launch. On a brighter side, The Nokia N8 will be coming out soon follow by by further Symbian^3 smartphones that Nokia is confident will give the platform broader appeal and reach, and kick-start Nokia’s fightback at the higher end of the market. While its unsure how the new N8 will perform, one thing for sure, Nokia isnt going flat down without putting up a good fight. Apple has reported another very strong quarterly performance and eased fears that its ‘Antennagate’ controversy around the iPhone 4 will hurt sales by giving an unusually upbeat Q4 revenue forecast. 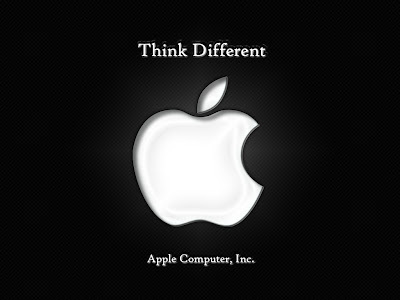 In the three months ended 26 June, Apple reported record revenue of US$15.7 billion, a 61 percent year-on-year rise and well ahead of Wall Street’s forecast for US$14.75 billion. Net profit came in at US$3.25 billion, up 78 percent on a year ago. Apple sold 8.4 million iPhones in the quarter, representing 61 percent unit growth over the year-ago quarter, and also sold 3.27 million iPads. Total company sales were boosted by a surprisingly large 33 percent spike in Mac computer sales. The China Internet Network Information Center (CNNIC) had just issued its 26th report on the state of development of China's internet. In the report, China had 420 mln internet users, up 36 mln users from the end of 2009, with a 31.8% penetration rate, up 2.9 percentage points from the end of 2009. 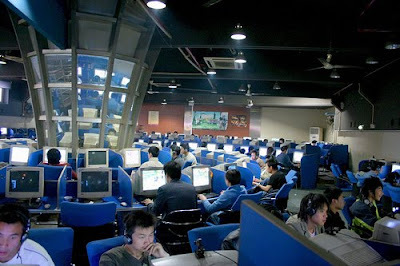 Broadband internet users reached 363.81 mln, reaching a 98.1% penetration rate among all fixed-line internet users. Mobile internet users reached 277 mln, adding 43.34 mln over the past half year, a growth of 18.6%. 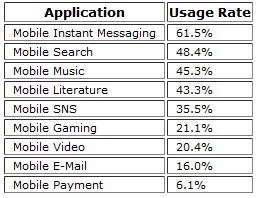 Of the total mobile internet users, those for whom mobile phone was the only means of internet access reached 11.7%. With such rapid growth, China's mobile internet users alone will surpass the total internet users in the US by next year. Internet users spent more time online each week, up to an average of 19.8 hours per person. 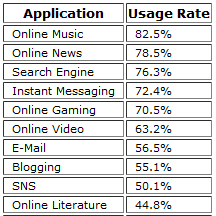 Topping the online and mobile application are music and instant messaging respectively. Mashable is reporting that one developer using iAds has already generated over $1,400 in revenue for his free iPhone 4 app. 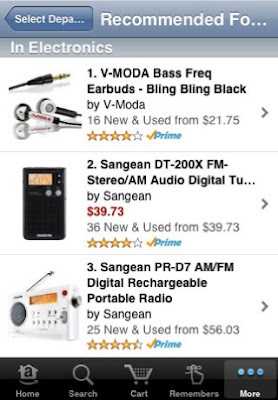 Jason Ting, who’s app was just approved for the App Store yesterday, showed decent sales for the paid version, but revenue generated from the free version is what was truly impressive. The app, which turns the flash on iPhone 4 devices into an LED flashlight, generated $1,372.20 in revenue on Day One alone, with an eCPM (effective cost per thousand) at a staggering $147.55. The iAds served through the app which was downloaded roughly 9,000 times generated 26,651 requests, 9,300 impressions and a CTR of 11.8%. Most of the ads being served were from Dove and Nissan, which likely had huge introductory media buys. Though the novelty of iAds likely has something to do with it, with users quick to click on the ad to see what the all the hype is about, it’s still impressive nonetheless. Check out the video of first iAds ever created below, one for Nissan’s new fully-electric LEAF vehicle. The ad takes advantage of nearly everything iAds and the iPhone has to offer, creating a truly impressive advertisement that lives directly inside the app. Untitled from Justin Montgomery on Vimeo.